Exciting short trip from Cusco to Machu Picchu, On this short tour you will get to know two must-sees of the region Cusco: the Sacred Valley of the Incas and one of the 7 New Wonders of the World, Machu Picchu! 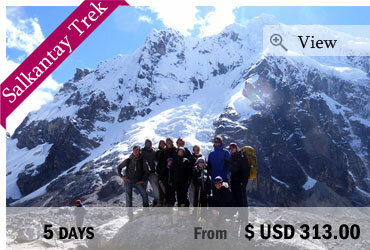 First you will get to experience the Sacred Valley, a former very important habitat for the Incas. It’s a cradle of culture, history and agricultural richness and a perfect place to learn about the inhabitants of the ancient Inca Empire. 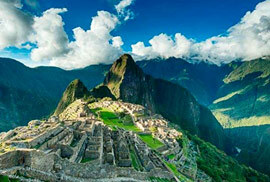 The journey finally leads us to Machu Picchu, probably the most important sight in Peru in the heart of the mountains. There you will walk through narrow paths and between impressive stone walls and your knowledge about the Incas will get even more expanded during a guided tour. The trips and excursions to the different destinations of this tour are managed with a guide and a small travel group with likeminded people you can share your experiences with. In the morning at around 8.00 we pick you up and take our bus towards the Sacred Valley where the Incas once built important cities like Pisac and Ollantaytambo. These spectacular towns are built in harmony with the nature and always surrounded by an incredible landscape. 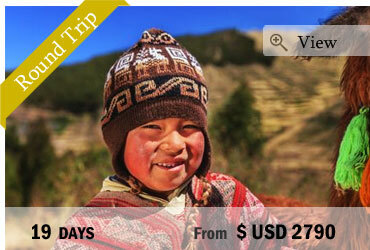 We will visit the archaeological complex of Pisac and enjoy a nice buffet lunch in Urubamba. 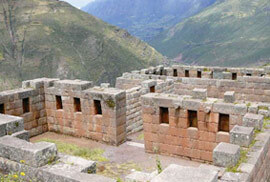 After lunch we will continue to Ollantaytambo where we explore its Inka ruins. 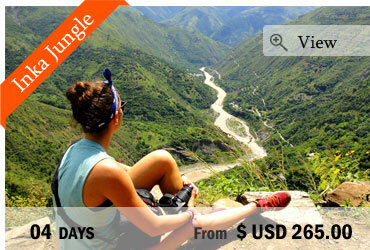 For the visits we’ll make use of the tourist ticket “Boleto Turistico Parcial”. After visiting the Inca ruins you take the train to Aguas Calientes, the town near Machu Picchu where you’ll spend the night.